Do you find it difficult to source the right employees for your business? Ever hired someone that looked great on paper but didn’t fit in at all? Finding the right employees can be a challenging undertaking. In fact, research shows that 60% of small businesses in particular find it difficult to source skilled candidates for open positions. The right employee in the right position can help to boost productivity, increase workplace morale, and enhance your business’ work culture. The wrong employee can do just the opposite. So, it’s important to be sure that you invite the most suitable people to join your team. Whilst this is by no means a complete recruitment guide (done right, recruitment is a sophisticated process which involves a number of different tasks), here are some of our top tips for recruitment success. Know what you want. Hiring the right person starts with job analysis. Draw up a job description describing the role as well all related duties, responsibilities, expected outcomes, and behaviours. Also include expected qualifications, skills, and experience. Go as far as to draw up a checklist of what is required so that you will be able to track a candidate’s potential fit within the organisational culture in a few, quick ticks. If you have a clear picture of what is expected, you will have a better way to evaluate potential candidates than you would have if you dive right in with just a title or vague sense of what the position entails. Plan ahead and strategise together. Armed with the job description, set up meetings with relevant staff members and colleagues to discuss what type of individual you would like to see filling the role, and what other members of the team expect from them. This will give you a good idea of how your staff will treat any newcomers and what the role really requires. Use this time to collect pertinent, industry and workplace-specific interview questions for use during candidate interviews. Target your search. If you splash a job opening advert over every line of social and print media, you will be flooded with applications, often from candidates who are not even qualified for the role. Be selective about where you advertise and what you put there about your business. Recruit on LinkedIn rather than Facebook, for example, and you will be able to target certain skill sets and review potential candidates before you’ve even met them. Give every application a complete once-over. Evaluate each application you receive against your job description checklist. A candidate might have it all on paper but if they don’t tick all your boxes, they’re not the candidate for your business. Also, it’s important to remember that not all CVs are accurate or even true. Always follow up on qualifications and references before you think of hiring. Get expert help. There’s a lot to consider when it comes to recruitment, especially if it’s not in your own job description. Take the admin and hassle out of the quest for the right employee by handing the recruitment process over to an expert recruitment firm (like Lee Botti and Associates). Make sure they’re properly accredited and have expertise in your particular industry so that they understand its unique hiring challenges. A firm like this will advertise for candidates, go over all applications, interview candidates before sending them to you for an interview, and check all CVs and references. This will save you time and money, as well as giving you a better chance of finding a long-term employee. Hiring the wrong employee for your business can be time-consuming, expensive, and stressful. Plus, you’ll still be looking for someone to fill the role once that person has left. The ultimate solution? Use an expert recruiter. 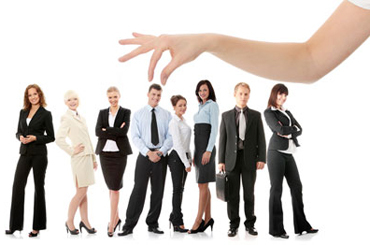 At Lee Botti and Associates, we work hard to place professional staff in the most suitable roles. Specialising in supply chain, logistics, and travel recruitment, we can help you find the right employees for your business today.